The B.C. Libertarian Party will take that challenge and make a bold offer to Dana Larsen. BCLP Member Keith Komar Responds: “As your question dealt strictly with Cannabis Prohibition I will stay on point, but please know we believe that this is symptomatic of a much larger issue and I will address this near the end of the article. This last year has seen many victories in the fight to free Cannabis. Many new dispensaries have opened across the province, and municipalities are starting to see the value in allowing the free market to offer high quality cannabis to its constituents in British Columbia. This has now been proven to eliminate the criminal elements, keep cash out of the hands of gang members and promote a culture of safety and education around this plant. First, a quick example of a legalization success story. Just one year after legalization, The State of Colorado saw more than ten thousand new legitimate jobs in growing, production, retail sales, warehouse construction, transportation, security, accounting and business management. Legalization has brought well over $135 million in new taxes which has gone on to fund education and health care across the state. That is definitely a victory and a prime example for us to follow. Unfortunately, we in Canada have also seen many losses. Tens of thousands of people continue to be arrested and prosecuted for the production and distribution of a common weed. This is very troubling to the Libertarians across Canada, but especially to the B.C. Libertarian Party. The grey market of cannabis is currently valued at over $6 Billion per year in our province alone, but our government refuses to acknowledge that this could be a thriving part of our economy. The product of Craft Cannabis in B.C. 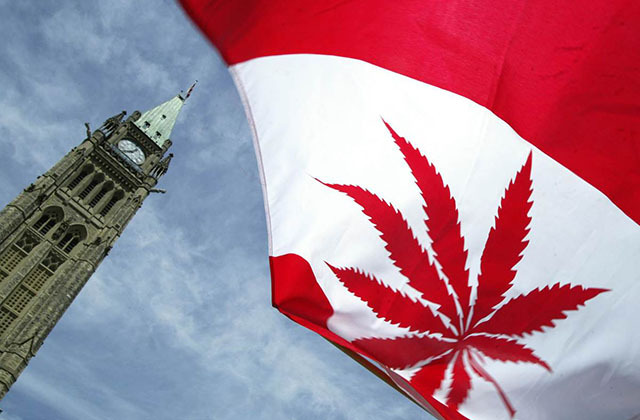 is already world renowned (Yes, we’re talking about famous “BC Bud”), and those who have fought against prohibition for decades are being driven out of business by a greedy federal government that only looks to monopolize the next multi-billion dollar industry. The B.C. Libertarian Party will not stand by idly and watch people be prosecuted for victimless crimes while our government plans to profit from the very same activities. The question then becomes “What can we do as a provincial party to end prohibition?” After all, cannabis remains illegal on the federal level. We pondered this as a group for many board sessions, as it is a complex issue that needs a different outlook to solve it. Our answer is multi-faceted and comprehensive. First we would introduce legislation that prohibits the prosecution in B.C. of any victimless crimes. We call this simply, our “No Victims, No Crime” policy. This will amend the Police Services Agreement to include a clause making the enforcement of non-violent crimes the absolute lowest priority for the RCMP. We need all hands actively busy cleaning up the fentanyl crisis and detaining the criminals who are actively killing members of our communities. This will forever put an end to needless prohibitions on voluntary human behaviour. Our next step; we would immediately add into the police services contract, a clause that removes their authority to arrest and detain for the production, distribution and possession of cannabis. This will immediately stop the harm being done by government to the peaceful users of Cannabis as both a medicine and a recreational substance and put us on the path to full, legitimate legalization of retail cannabis sales. Since cannabis has zero documented overdoses, we do not make the mistake of grouping it together with hard drugs like heroin or meth, and this policy will allow police to focus on cracking down on the violent criminals who sell these hard drugs, while also annihilating their profits on cannabis. Forced to compete in a legal market, the price of cannabis will drop sharply and so too will the profits of criminals. Lastly, we would look into what we would have to do to revisit every person convicted of a non-violent cannabis crime and work towards having their records expunged of all wrong doing related to the incident in question. Where a crime has produced no clear victim and the offence was purely non-violent (such as merely possessing or growing cannabis), we will advocate for total clemency. If the activities involved gang violence, we will ensure they remain imprisoned. Too many young Canadians cannot find a job because they are saddled with a criminal record for a non-violent, victimless offence of merely smoking the wrong plant, and unfortunately too many are then forced to survive through criminal activities or “under the table” work because of this. We feel that these would be manageable set of goals, without overreaching what we can do legally as a province under federal Canadian law. I hope this will answer your question on the issue of Cannabis Prohibition and the Libertarian Party’s stance related to it. I also hope that if this is your only issue in the upcoming election Mr. Dana Larsen, that you get on board with our party and help us make that happen.